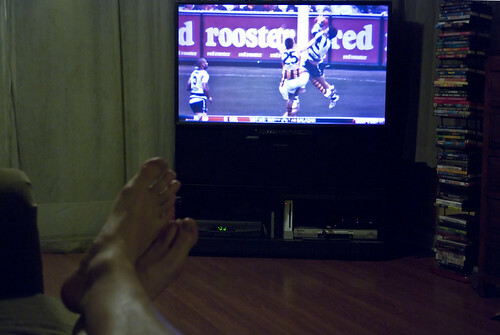 Feet And Footy (158/365 year 3) – Annoyingly Boring? Friday night ESPN2 had Australian rules football. It was great to be able to watch (for the second time this season) on the TV rather than the computer. Unless things change the next game that will be on TV is the Grand Final, their super bowl.